Floods, fires, hurricanes and tornadoes seem to be more commonplace each and every year. All over the United States, many families are devastated by natural disasters—especially when their homes are affected and their lives are uprooted. What can you do to protect your most valuable from destruction? Read ahead for some tips on how to keep you, your family and your home safe from the wraths of nature. If you have potted plants and shrubs around your home, move them to a different area on your property during fire season. 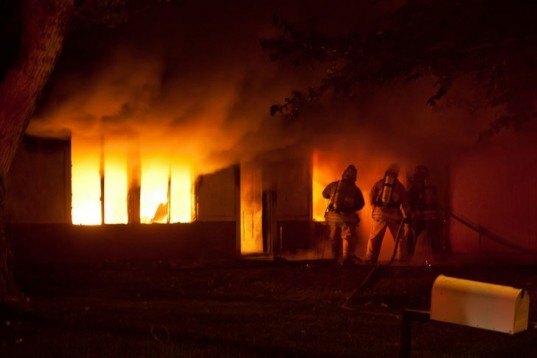 When plants and other greenery catch on fire, they can quickly start a structure fire. Purchase flame-retardant shingles. Fire Smart shingles from Watkins can be purchased by a roofer or at a local home improvement store. These can keep the structure of your home safer depending on the grade your purchase—moderate or severe protection. If you live in a rural area and have a lot of dead brush around your home, take time to clear it before fire season starts. If you are alerted of a nearby fire but don’t have to evacuate, use garden hoses to wet the sides of your home and surrounding areas. You may pay a bigger water bill, but saving your home is worth it. Because natural disasters have become so rampant, it’s essential you have the right homeowner’s insurance policy. Seek out websites like homeinsurance.com to find the best policy for your area and your budget. When speaking to insurance agents, make sure to ask them about natural disaster coverage. The extra dollars you pay are worth it, especially if you lose your home in a hurricane, tornado, fire or flood. Good homeowner’s policies will include total replacement cost if you have to rebuild and contents coverage to replace the items inside the home you may lose after a natural disaster. 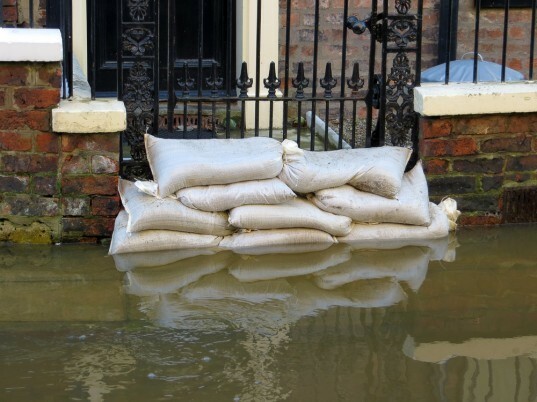 If you live in a flood zone, beyond purchasing the proper insurance, there are other things you can do to protect your home. If you are informed flooding will occur in your area—and have the time—move your valuables, appliances, furniture, fixtures and personal goods to another location out of the flood zone or to a higher level of your home. Be sure to take important documents with you if you leave, or take care to put them in waterproof containers. If you are building a home or move into a new home, check the position of the fuse box and utility meters. In flood zone areas, these can become covered with water and damaged, causing even more of a headache, not to mention the cost to repair. If you can, ask the builder to place them to higher ground or see if you can reposition existing units. Losing the function of either after a flood will only make life more difficult. Installing hurricane straps to your secure the roof. 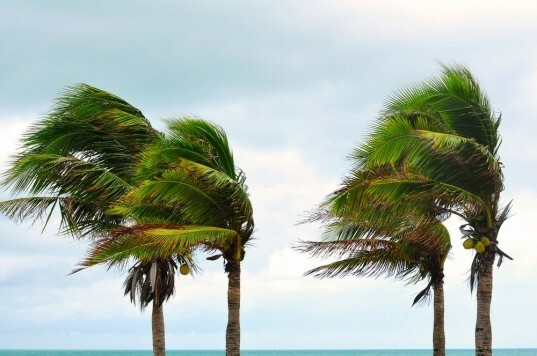 Investing in storm shutters to protect window glass from breaking and to prevent debris from entering your home that could cause more damage and potential injuries. Calling a qualified and licensed home inspector and asking for advice on what you can do to make your home stronger during hurricane and tornado season. Creating a safety plan for you and your family and practicing drills on a regular basis. You should establish an evacuation route and place to stay if needed. Purchasing an emergency stockpile to have on hand; e.g. batteries, first aid kit, flashlights, radio, water, non-perishable food items. Place all important documents (e.g. birth certificates, home and car titles) in waterproof bags and keep them with you. No homeowner wants to think their home will be the one damaged by a natural disaster, but if you take the time to prepare before the disaster strikes, you will significantly lessen the blow your home and your family takes. I teach disaster preparedness at schools for a very well known organization that responds to disasters (rhymes with Shred Shross). One of the most important things you can do to be prepared for a natural disaster is to make a supply kit that you can keep in a backpack or Tupperware container which will be easy to access in case of a disaster. This kit should contain: water, non-perishable food, flashlight, cash (atms and card readers won't work when the power is out), extra warm clothing, backup s of prescription meds, copies of important documents like insurance and everyone's ID. These are just a few things, but if you google disaster kit, a ton of ideas will come up.